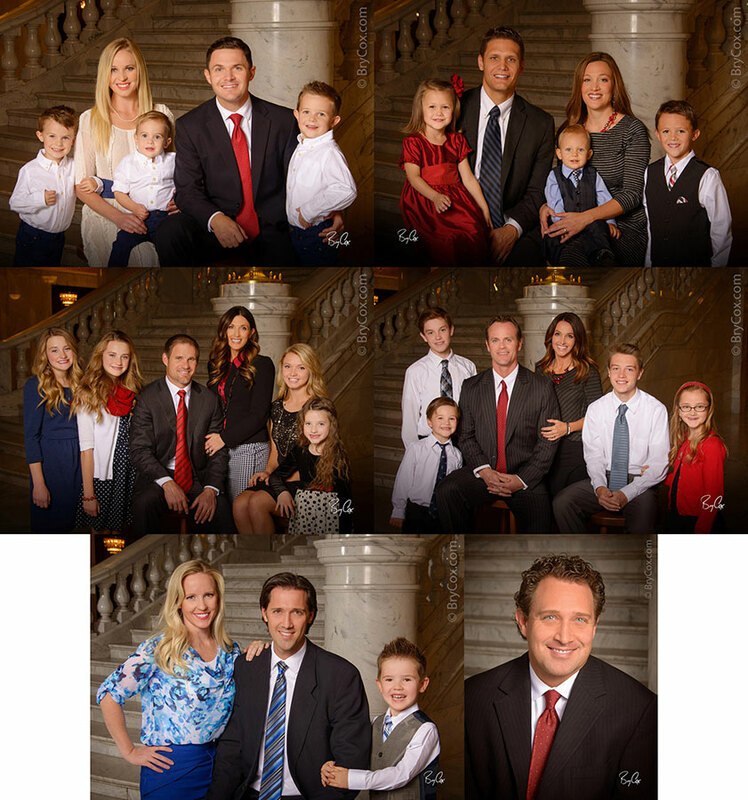 It’s time to order Christmas cards, and for the next while any wall portrait includes free Christmas cards. Get any wall size (like a 16×20 or larger) and get 25 free custom cards designed using a photo from your shoot. Photography I believe is one of the absolute best gift ideas. A photo of a loved one is cherished for years, and I have some fun ornaments and gift ideas that you’ll love. You may want to get some of these for yourself as well as for loved ones, like these fun Christmas ornaments. 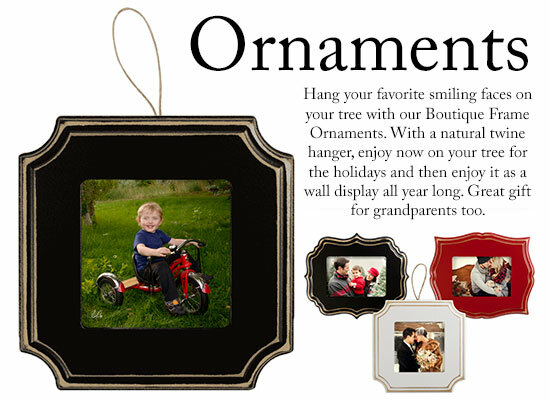 These first type of ornaments are printed on metal and are great for children or family portraits. They are $45, or free with qualifying portrait orders. My second type of ornaments are small boutique framed images, ready to hang with a brown twine loop. These are great for your tree but also are good all year round, hanging on a wall. These are $69, or free with qualifying portrait orders. Call me at 801-728-3317 and I’ll get your order going. We can use images from past shoots or current shoots, and I can also ship orders directly to you too. Christmas is almost here and it’s a great chance to spend time with families. 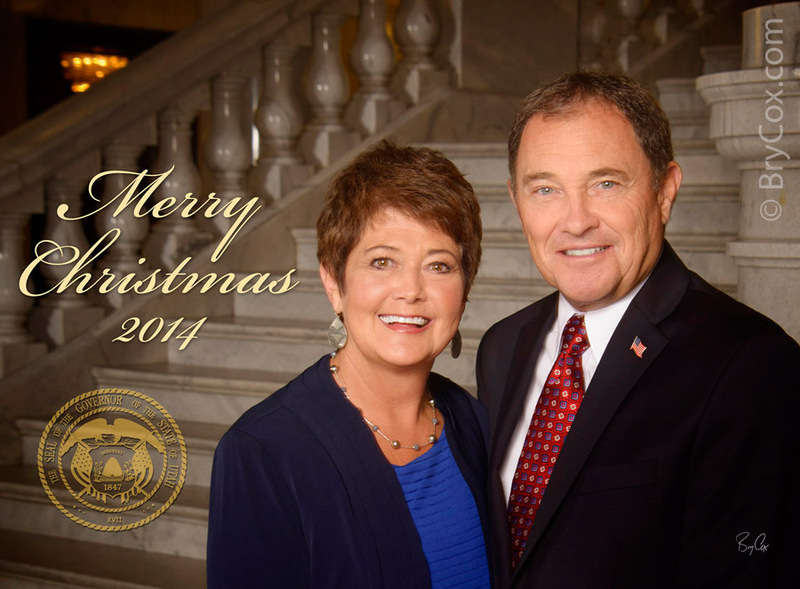 It’s also a great time of year for family portraits while everyone is together, and this year I was honored to create the Governor’s family portraits and Christmas cards. It was a huge project as it also included designing and printing thousands of cards, as well as mailing them all out. Every day for a couple weeks I was working on this job to make it all come together, look great, and hit mailboxes on time. I really love how it all turned out. I’ve had many clients that were on the Governor’s mailing list already comment to me about how great everything looked and how fun it was to get it. Here is the opening portrait on the card. I really work hard to make photo shoots quick, fun, and painless. It was nice to hear afterwards that they felt it was the fastest and easiest shoot they had done. Once I get everyone positioned and the lighting just right, I have a very goofy routine that mesmerizes the kids. I shoot what I need, but I don’t wear people out by shooting a ton. When I know we’ve got it, I move on so that expressions don’t get stale and people can get back to their lives. I really love this big group portrait below. 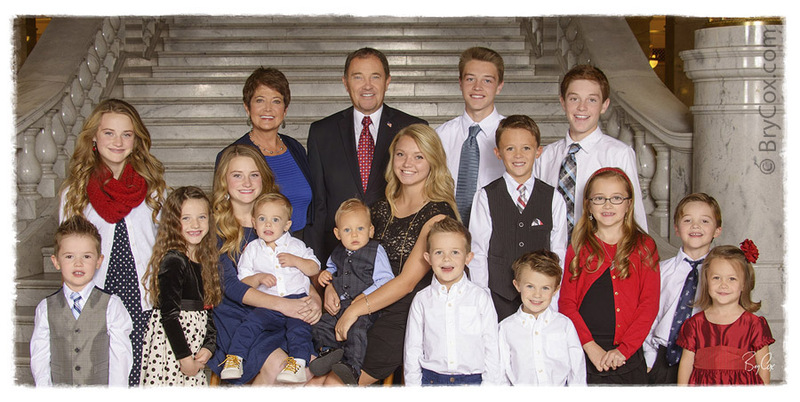 The Herbert family is a very nice and wonderfully big family with a lot of cute, little grandkids. The lighting in this area had to be just right so that the background wouldn’t be dark and black, but instead would be a nice medium warm tone that accentuated but didn’t distract – while at the same time making sure the faces on everyone was dimensional, even, and created great skin tones. For the card, I cropped it down to a long panorama that you see when you fold open the card. And usually on the back of cards I just do my logo, but we added this cute group portrait of all the grandkids. There are a lot of great expressions in these cute faces. 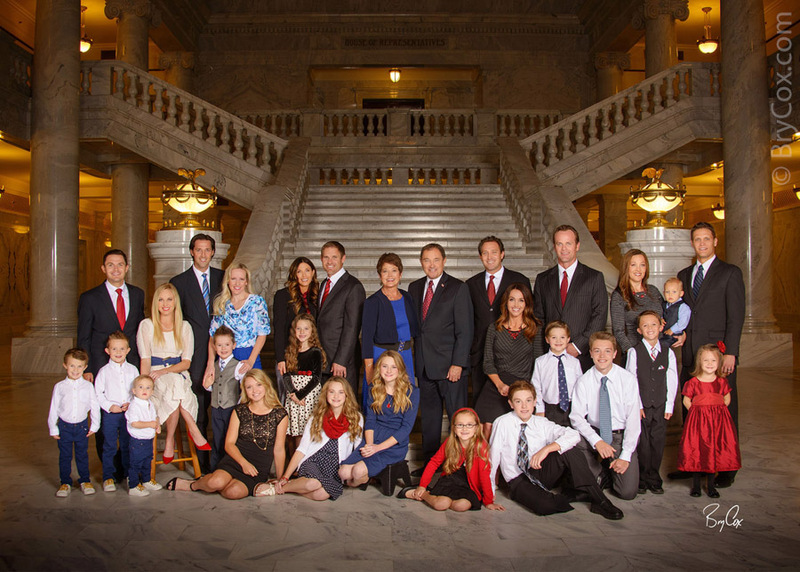 Of course we also photographed individual families too while I was there. I really think it turned out great. It’s also been fun to hear from various clients of mine that have received the card. For instance, here is a sweet mention on Instagram from one of my good clients and friends Shauna Lake of KUTV news. She posted this when she got her card. Well I hope everyone has a great Christmas and can spend time with family. If you need some great family portraits while people are in town, let me know. 801-728-3317. And make sure you check out ideas on my main website too, at BryCox.com. Merry Christmas and until next time, America.